How to play Super Mecha Champions before anyone else? In this first quarter of 2019, NetEase is working hard and continues to introduce mobile shooting games. In addition to Disorder, the Chinese publisher also plans to release Super Mecha Champions. Both titles are still under development. NetEase has started public testing for Super Mecha Champions (SMC) on Android and iOS. Here is how to register for the test program and play it before anyone else. Go to your smartphone settings to clear the Google Play application cache. Launch Google Play and fill in the search field with the following query: "Super Mecha Champions". Install the game and start it. Download the APK of Super Mecha Champions from Logitheque. Also download the OBB file of Super Mecha Champions. Install the APK, but do not start the game. Use your file browser to go to the Android > Obb folder on your smartphone. Create the folder "com.netease.g93na" in it. To install the Super Mecha Champions beta on your iPhone, here's how to do it. Download the TestFlight tool from the App Store if you do not already have it. 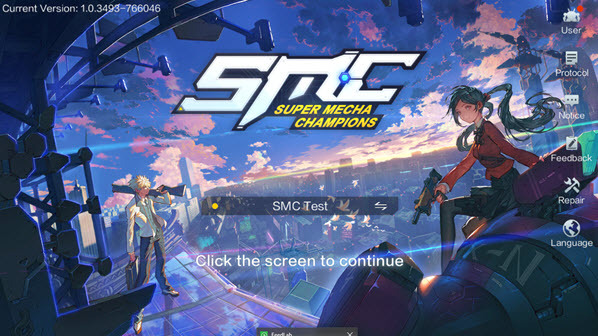 Go back to the page opened in step 1 to get the Super Mecha Champions download link that will allow you to retrieve the game in TestFlight. The Super Mecha Champions beta will run from March 21 to March 31, 2019. Leave a comment for	the article How to play Super Mecha Champions before anyone else?